One of the most exotic marathon courses in the world are ready, or at least open for the season. 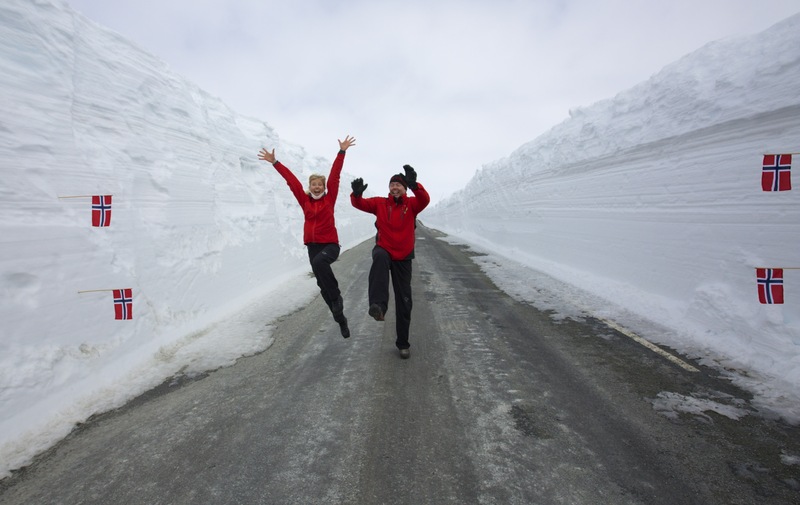 With two months left, the moutain pass over Valdresflya (1389 meters above sea)opens for commercial traffic today. The snowshelfs in this «gully» are over five meters at the highest, and we can guarantee you some of this special experience when you arrive here in the end of May.